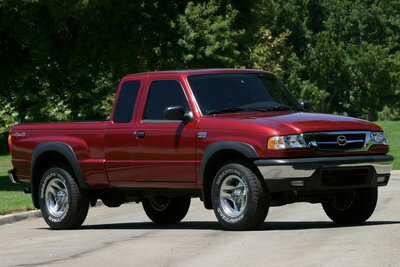 Although the Mazda B-Series is a perfectly competent compact truck, it is outclassed by other newer entrants to this segment. The Cab +4 offers extra room in the rear compartment to store cargo or carry passengers in the jump seats. A choice of a 3.0L V-6 (154-bhp) or 4.0L V-6 (207-bhp) engines can be coupled to a 5-speed manual (3.0L only) or automatic. Only the 4WD model is available with the 4.0L V-6. The SE model has been discontinued.